Reason for treatment: Replacement of temporary crown. 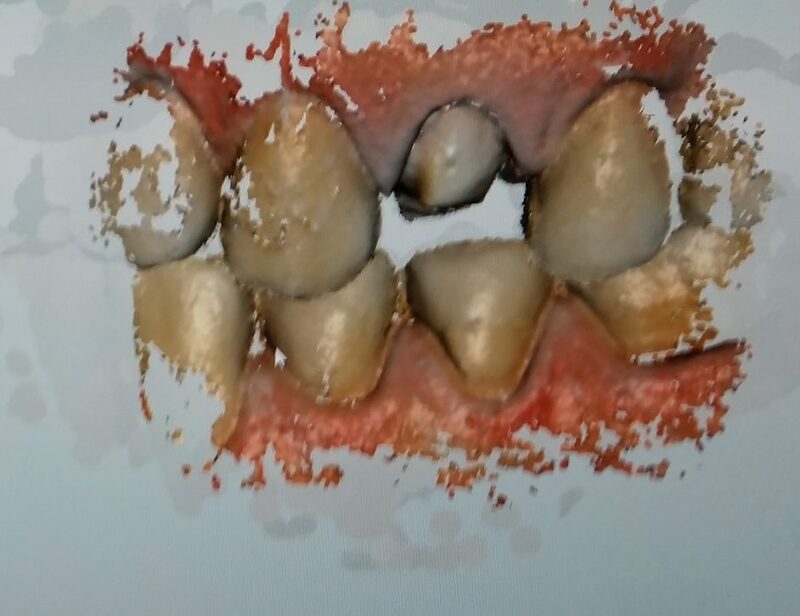 The patient came to our clinic unsatisfied with aesthetics of devitalised tooth 24, which was covered with an old crown (Fig.1). The crown was not translucent enough, had some discoloration and unsatisfactory marginal fit. An X-ray examination did not reveal any pathological periapical changes, root filling was satisfactory. Figure 1: Old crown, tooth 24. 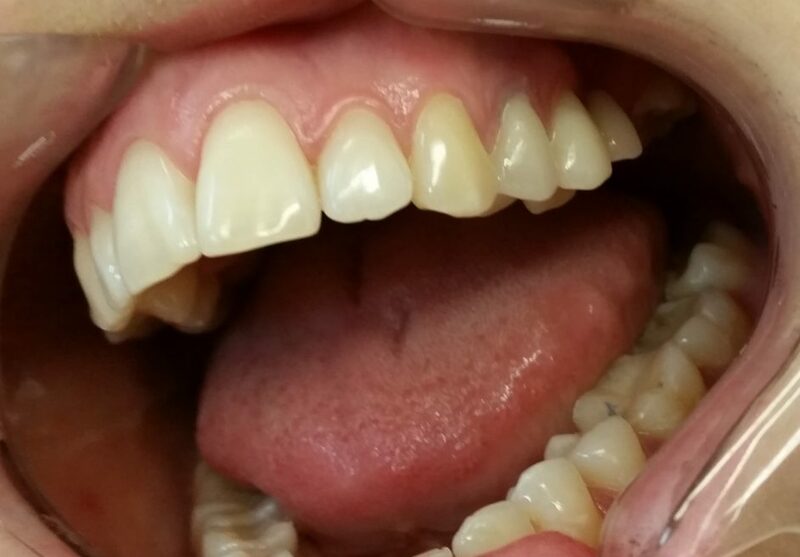 After removing the old crown, we found quite good composite build-up without signs of secondary caries. Retraction of soft tissues was performed with a retraction cord, and final preparation was made (Fig.2). Figure 2: Tooth 24 after final preparation with retraction cord placed. 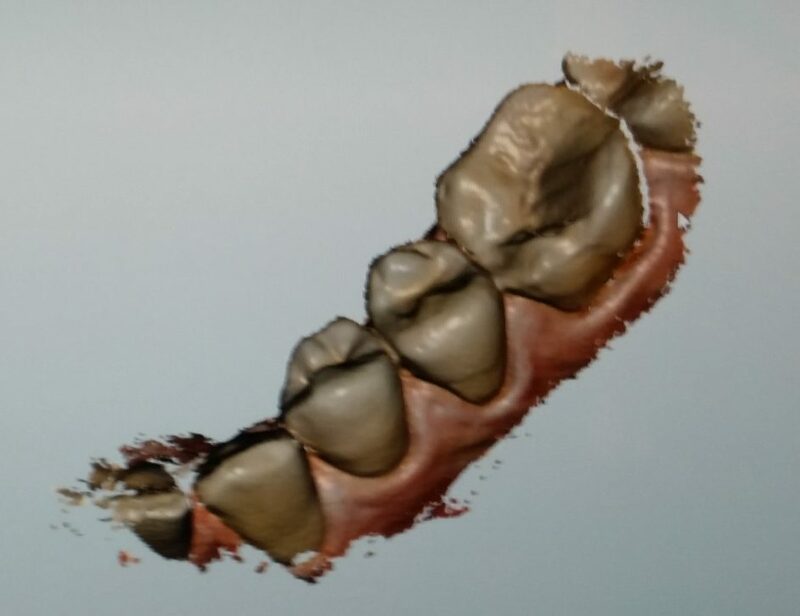 We scanned the area of restoration, opposite jaw, and performed a buccal scan to register the occlusion. The program correlated digital models according to occlusal relations. 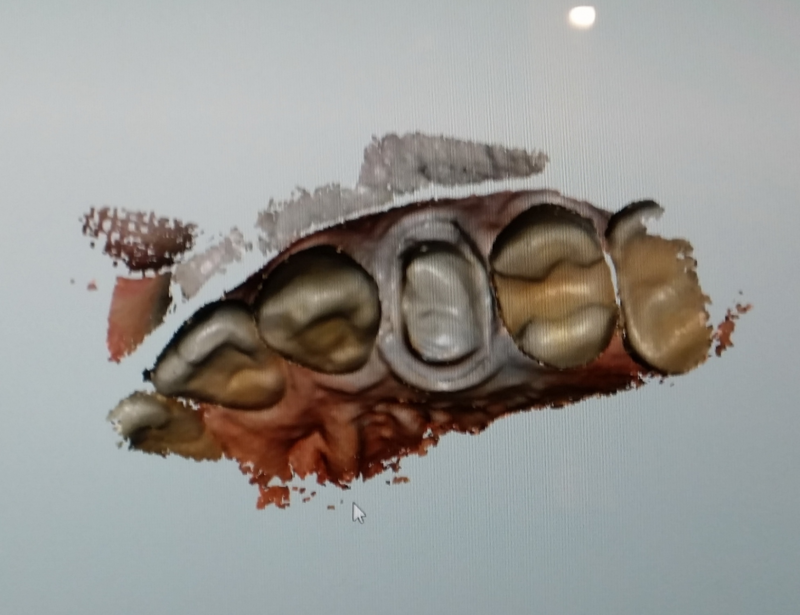 Figure 3: Scans of the restoration area, opposite jaw and buccal occlusion. 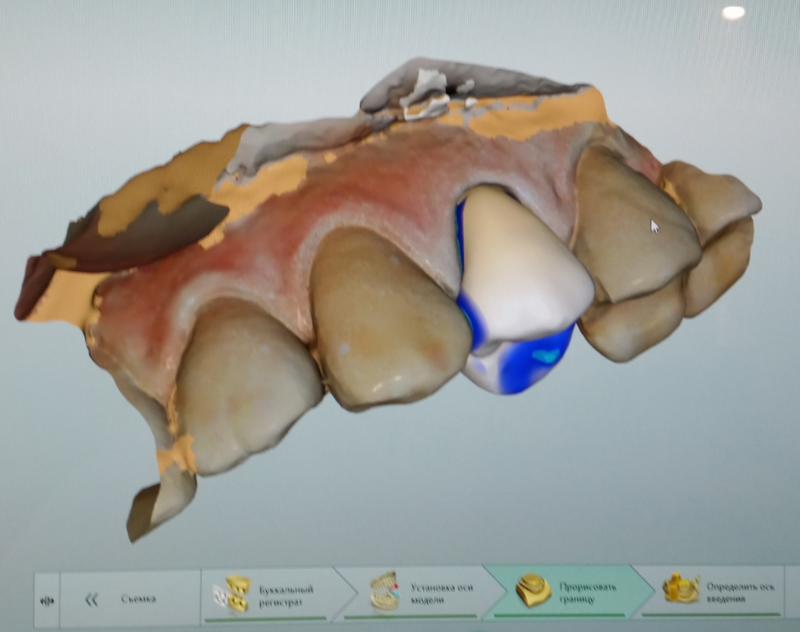 After choosing the margin of restoration, MyCrown proposed an initial crown design, which was corrected in the software, as desired. For milling material, IPS Empress Multicolor was chosen. Location of the crown inside the ceramic block was checked and manufacturing was performed. 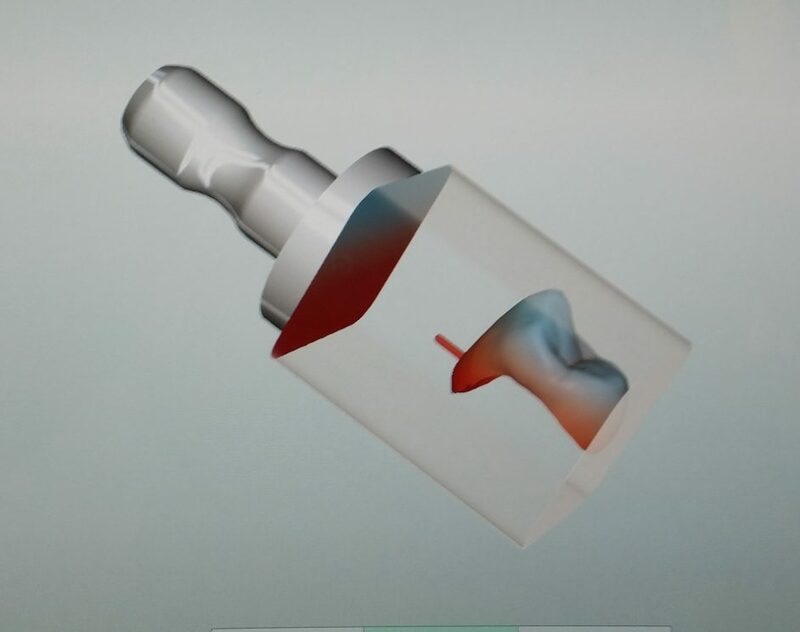 Figure 4: Design proposal and location of crown in the milling block. After polishing the restoration and checking the fit, we moved to the fixation stage. 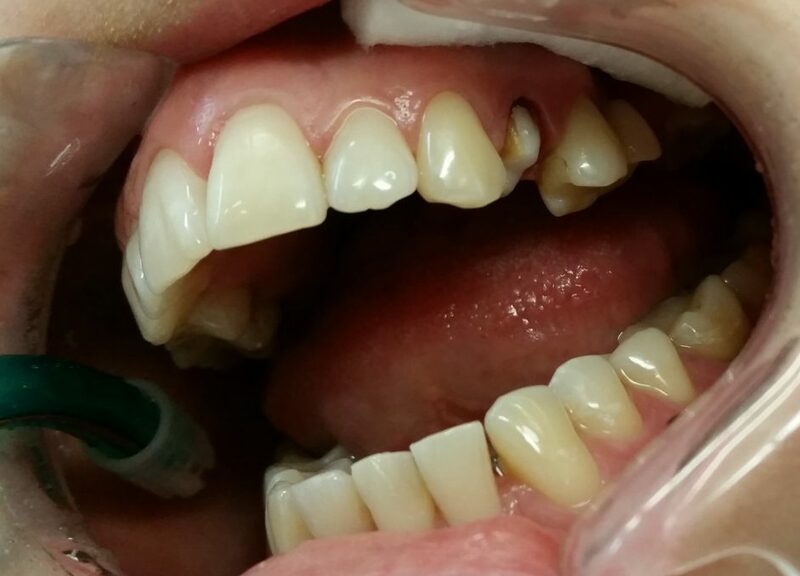 Due to enough mechanical retention of build-up, cementation was performed using Relyx, self-adhesive composite cement. 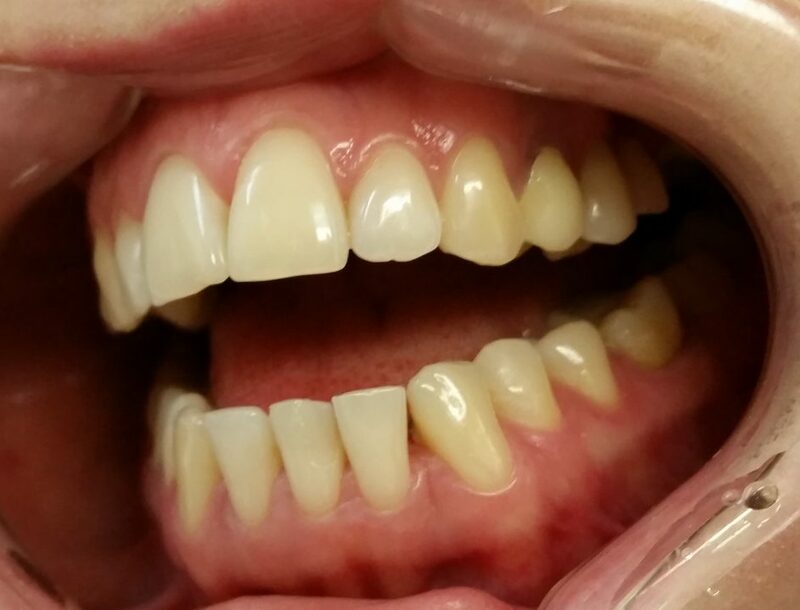 Figure 5: Ceramic crown immediately after cementation. 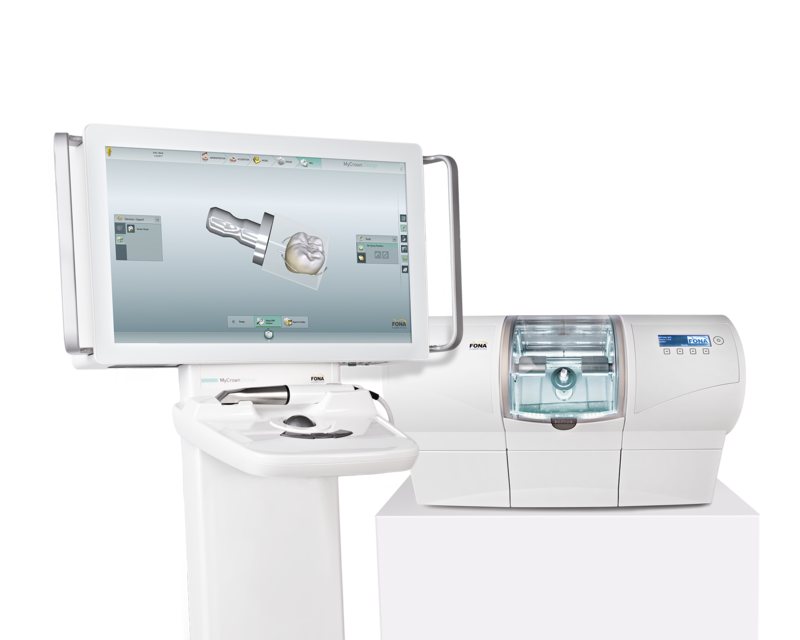 The chairside CAD/CAM system MyCrown can help to achieve aesthetic, lasting results in just one visit. 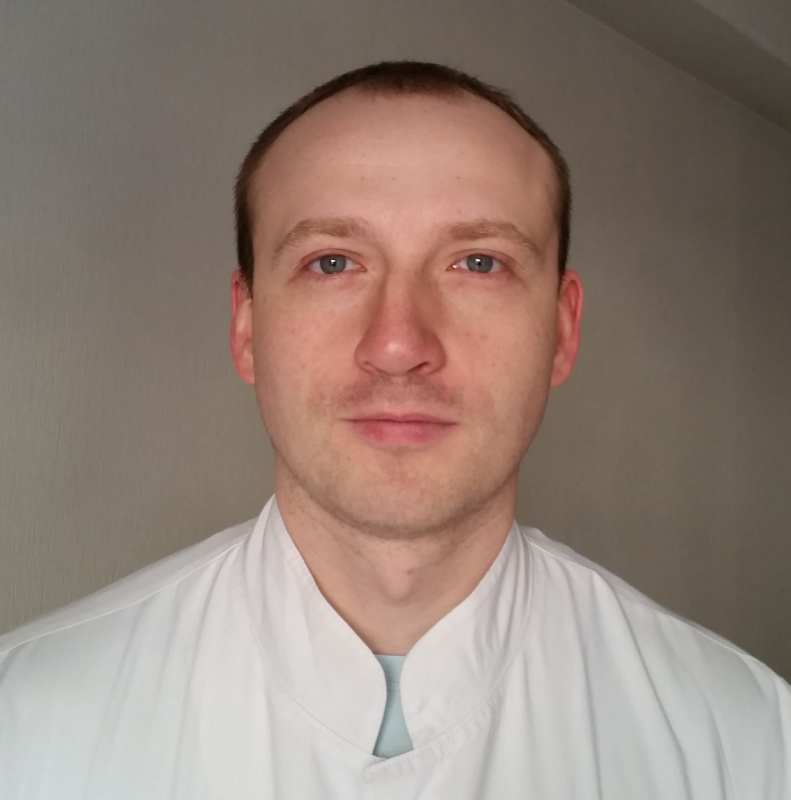 He graduated from Belarussian State Medical University in 2007. Interested in restorative dentistry and prosthodontics. Today works in private clinic “Belyj nosorog”, Minsk, Belarus.